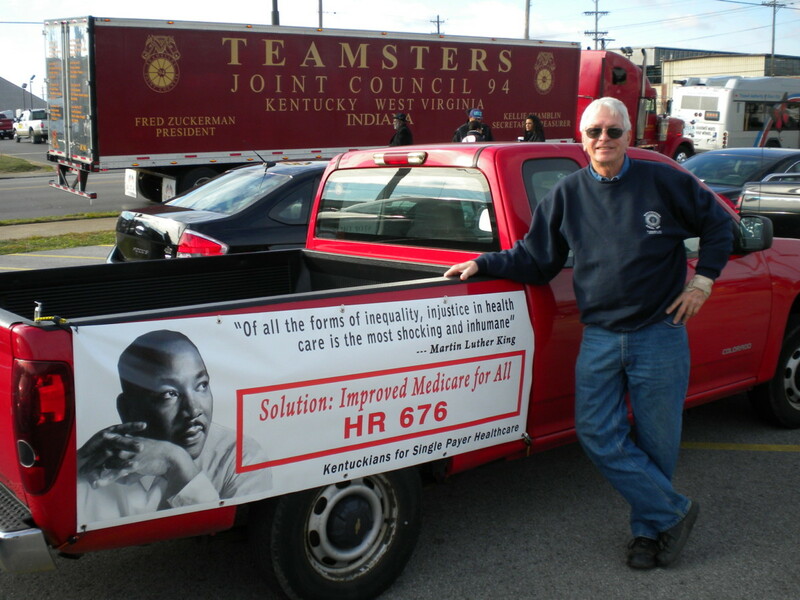 Scotty Pulliam, former President of IBEW Local 369, led Kentuckians for Single Payer Health Care participation in the 2014 MLK Parade in Louisville. Yet 48 years after Dr. King spoke those words, our country still suffers over 83,000 excess deaths each year among African Americans–deaths that would not happen if there were equality. Our country’s health system leaves tens of millions of all colors without health insurance or with insurance so skimpy they cannot afford to use it. Now, under the guise of solving the deficit problem, there is a relentless attack on Medicare, Social Security and Medicaid, the programs our nation won through the struggles of the 30s and of the civil rights era. The good news is that there is a solution. Congressman John Conyers, Jr. (D MI), the sponsor of the bill that made Dr. King’s Birthday a national holiday, has introduced into the Congress HR 676, The Expanded and Improved Medicare for All Act. This single payer legislation would divert hundreds of billions of dollars annually from profits and waste generated by the private health insurance industry into good care for everyone. Care would be expanded to all and costs brought under control. 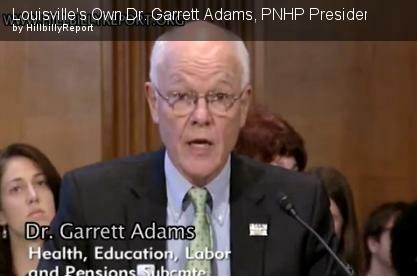 Doctors would be freed from insurance industry interference with care. Patients would be freed to choose their physicians. Dental, eyeglasses, hearing aids, prescription drugs, long term care, doctors, hospitals, home health, mental health—all medically necessary care would be included. Co-pays and deductibles would be banned ending today’s growing problem that health insurance policies are so miserly that even the insured forgo care because they can’t afford it. All of us would be respected as “covered” patients, ending the flight of hospitals and physicians from our neighborhoods to wealthy areas. Medicare is not the problem. It operates with less than two percent overhead. The healthcare crisis actually stems from the bloated costs of the private world of insurance companies. Under HR 676, those for-profit companies would be removed, allowing us to improve care and include everyone. In 2011, Bill Clinton said that we could save $1 trillion a year if we adopted the health care system of any of the other developed countries in the world. All of those countries have universal health care under a single payer type of publicly funded program. No more stewing over the deficit! The passage of HR 676 would save Medicare, end the uncontrolled, gargantuan rise in health care costs, ease the deficit pressure, and actually bring universal health care to the nation. So why are we even debating cuts to Medicare, Social Security, and Medicaid when the solution is at hand that would bring us both better care and cost controls? HR 676, an improved Medicare for All, is sitting in the Congress, awaiting the rising of a movement that will insist upon its passage. A free program for your church or other organization on single payer is available from Kentuckians for Single Payer Health Care (502) 636-1551, nursenpo@aol.com.